Have you ever thrown a rock or a shell into the water and watched how far the ripples go? 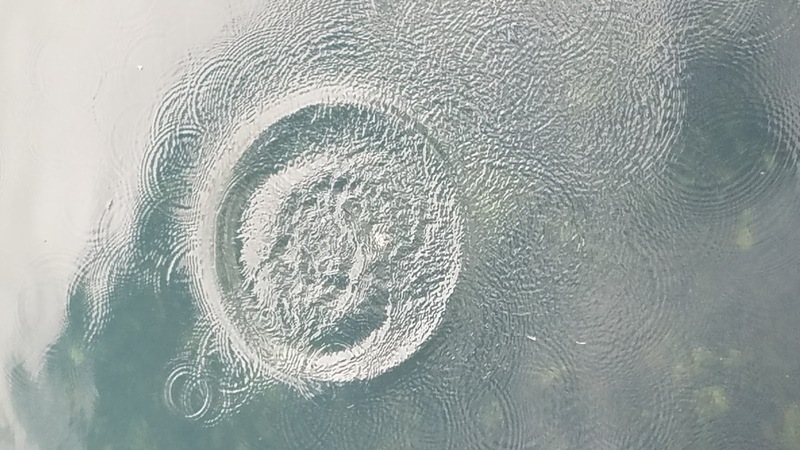 The middle of the circle has the biggest impact, As the rock hits the water it causes drops of water to shoot up and each one makes it's own impact on the water. It reminded me how acts of kindness cause the same effect. One act of kindness has a huge impact on the person receiving the kind act, yet it reaches far beyond. Looking someone in the eye , giving a true smile, and saying hello is the first splash of water. This person feels happy and is still happy as they pass the next person. They smile to that person and the ripple of kindness has now spread far beyond the first single act. Today's world is full of hurting people, We have plenty of outside forces telling us we aren't quite good enough or your thinking is a bit off. When kindness is so easy to share as sharing a smile why aren't we spreading a little kindness? It has been my experience that with a simple smile you can open a conversation. With a smile people who are hurting feel someone noticed me and cares. My children once told me don't make eye contact mom we need to get somewhere fast. You see whenever I make eye contact it opens up a conversation where I learn about the person on many levels. People need others to hear them in today's world. Take time to listen to others stories, take time to give away a smile. We all need more kindness. Sharing a smile won't cost you anything but will give you so much in return. Wouldn't it be wonderful if we all started talking and sharing life instead of being closed off in our own busy world. Hope today you can go out and share a smile, a conversation or a random act of kindness. Lets see how far we can get our drop in the water to ripple today. It's fun to hear stories and to keep asking our dear ones to elaborate on their ongoing stories, too.